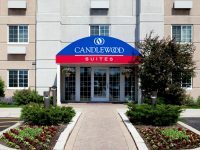 Experience the Windy City close to O’Hare Airport and Rosemont’s vibrant MB Financial Park at an affordable rate. This Best Western is revered for excellent customer service and competitive rates. This immaculate and elegent hotel will give you all the comforts of home. Straightforward Hotel with classic rooms and amenities include fere breakfast and parking. Just minutes from O’Hare, the Springhill Suites offers 24 hour shuttle pick up and drop off. Discover our innovative spaces and stylish suites. Soothing atmosphere and complimentary shuttle that?s just minutes from O’Hare. Enjoy your stay with the comfort and convenience you deserve.